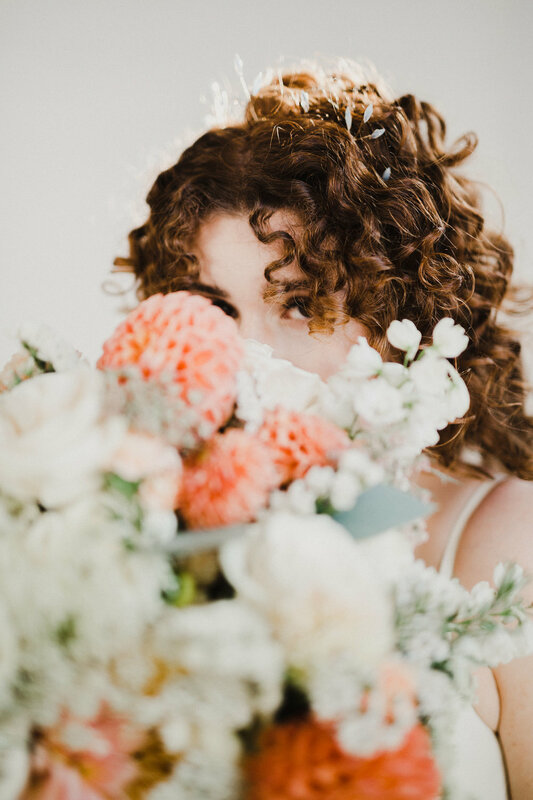 Last fall, I teamed up with the talented Brenna Louise, and some other local businesses for a styled shoot here in Victoria. Alexa, the model and I had met a few weeks ago at a clothing exchange and had chatted about my business and also Brenna's amazing photography. 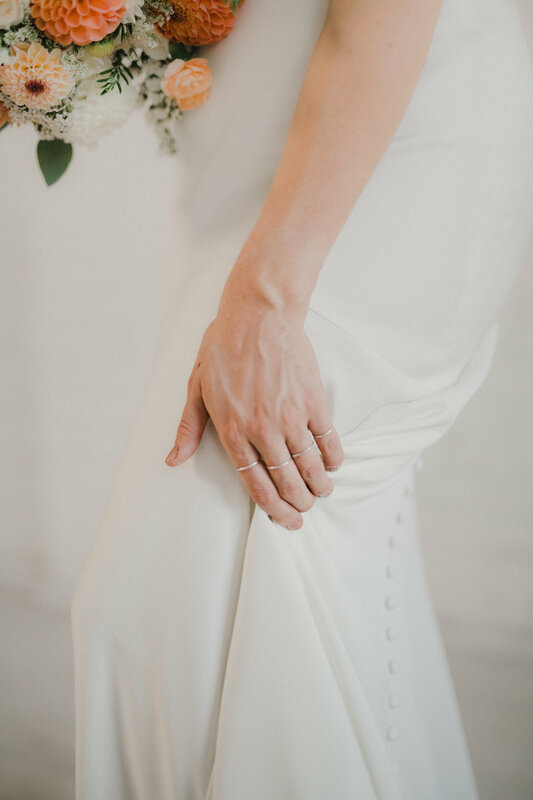 So when Brenna was here in town, we connected and the results were this beautiful styled shoot. 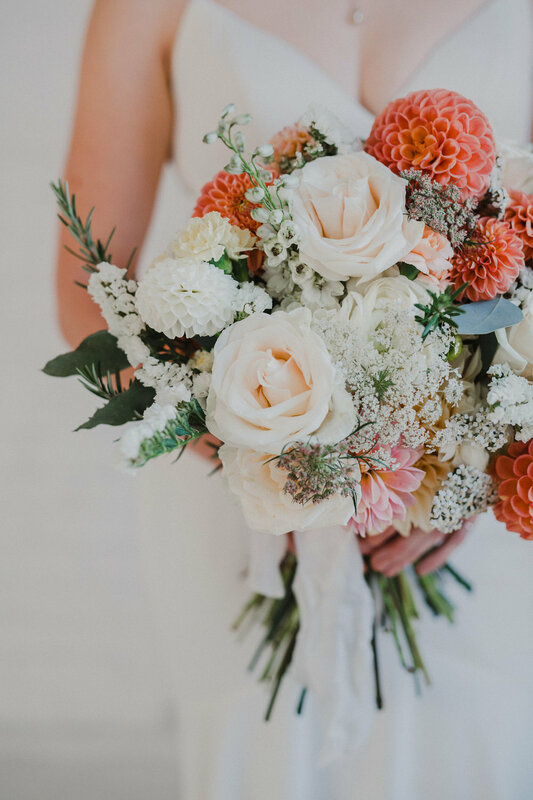 I was inspired by the buttery yellows of the cafe au lait dahlias, and the peachy/ yellow gradients of the dahlias in choosing the colour palette for this bouquet. 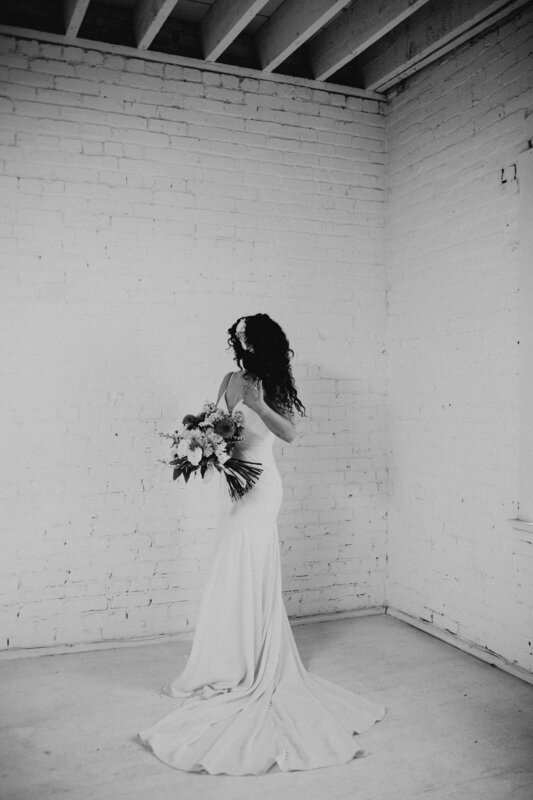 I also pushed myself to create a bouquet with minimal greenery and lots of texture and I love how this can be seen in the black and white images. 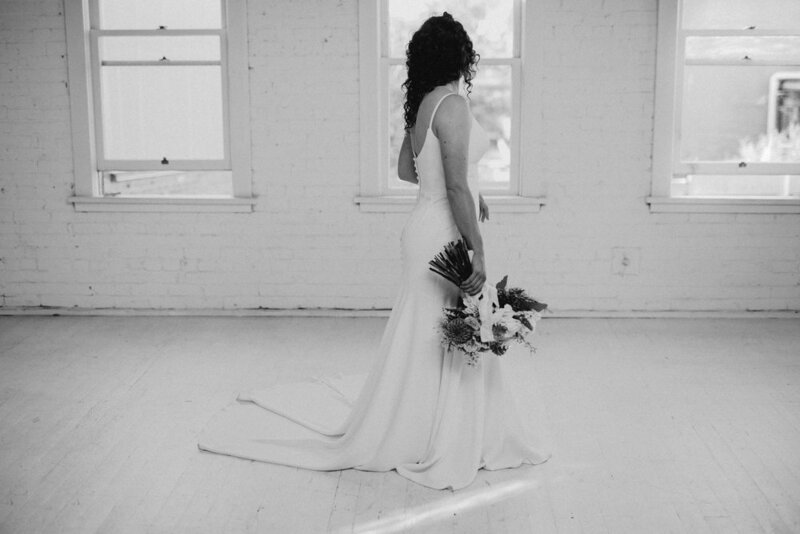 Flowers used were: dahlias, vendela roses, queen anne's lace, carnations, yarrow, ranunculus, delphinium, rosemary, statice, and some eucalyptus. and I'd love to hear your thoughts!